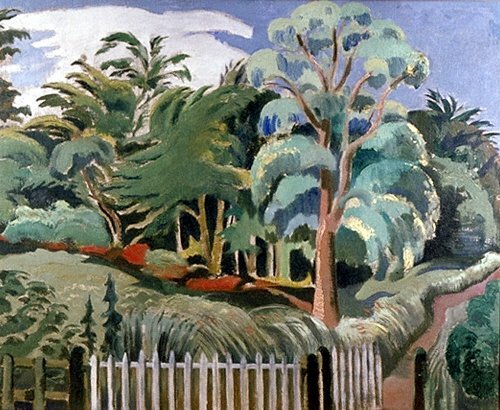 Caption: The Edge of the wood by Paul Nash, about 1919. Unsigned. View of a wood at Chalfont Common, Buckinghamshire. One of a series of depictions of the countryside between the Chilterns and Oxford painted after Nash returned from the front during World War I.